Wat Chedi Luang located in the heart of Chiang Maiʼs old city. 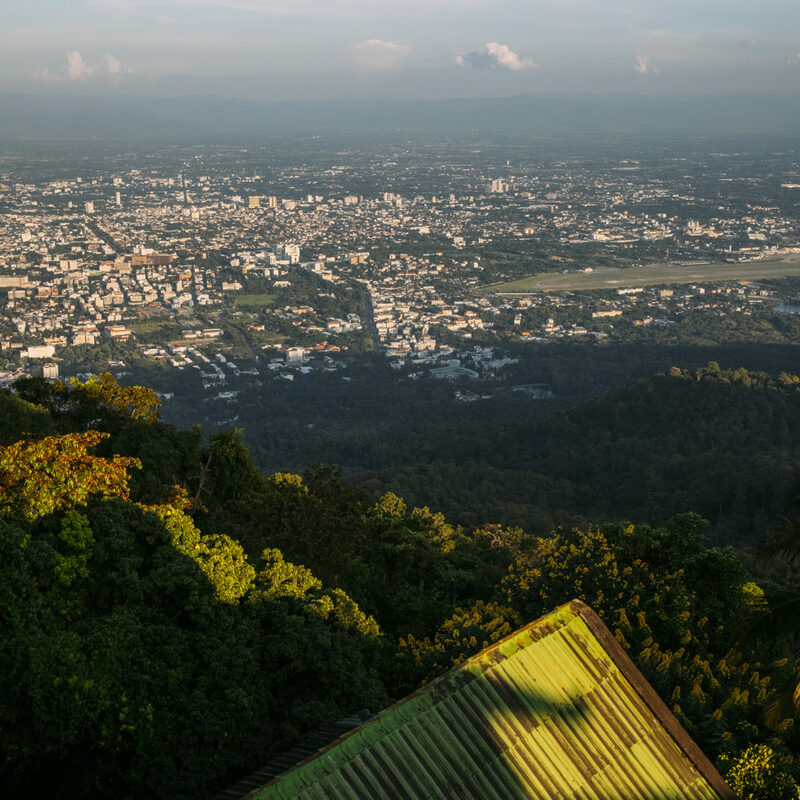 In 2017, International Living ranked Chiang Mai as one of the top places to retire abroad. 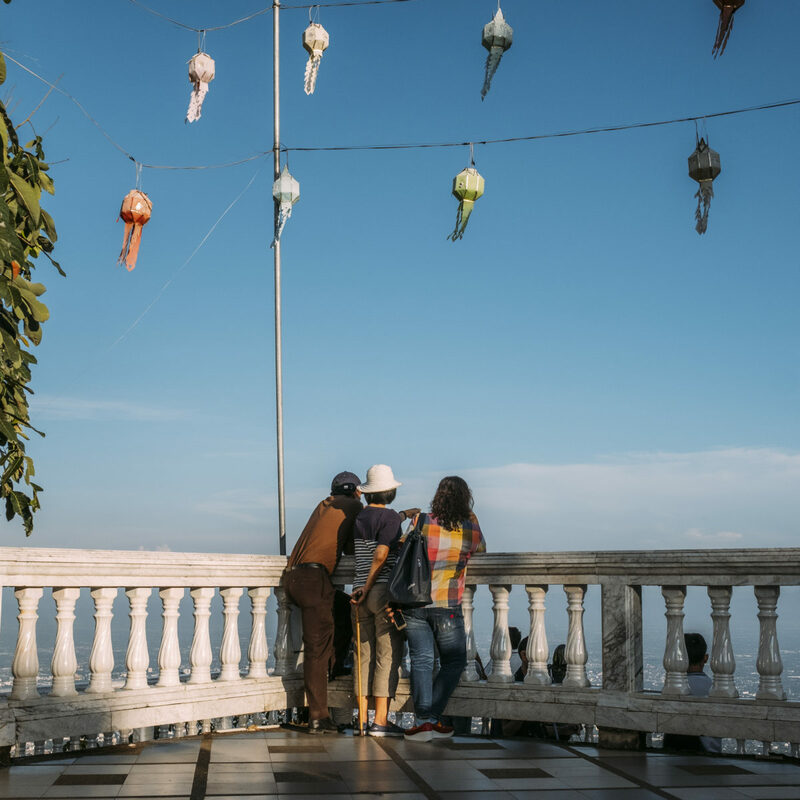 Since then, reports estimate anywhere between 40,000 and 60,000 retired immigrants are living in this mountainous part of northern Thailand, where ancient architecture and natural wonders are encompassed by the energy of a modern city. 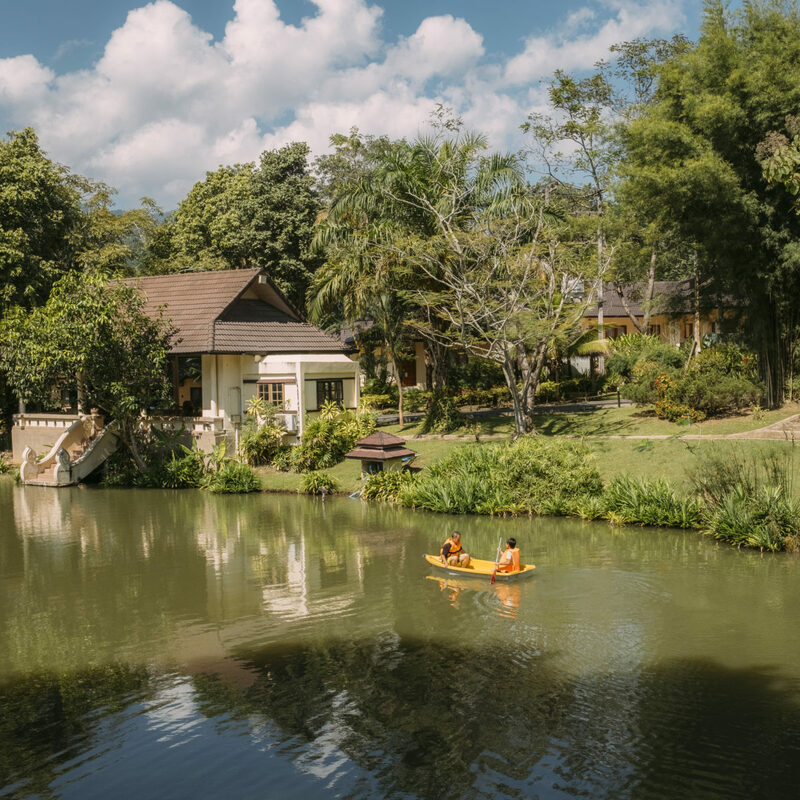 For issue 07 of Here Magazine, Bangkok-based photographer Adam Birkan traveled north to Care Resort Chiang Mai to get the story on the newly minted retirement hub—and visited some of the city’s top sites along the way. Rooms at Care Resort Chiang Mai. 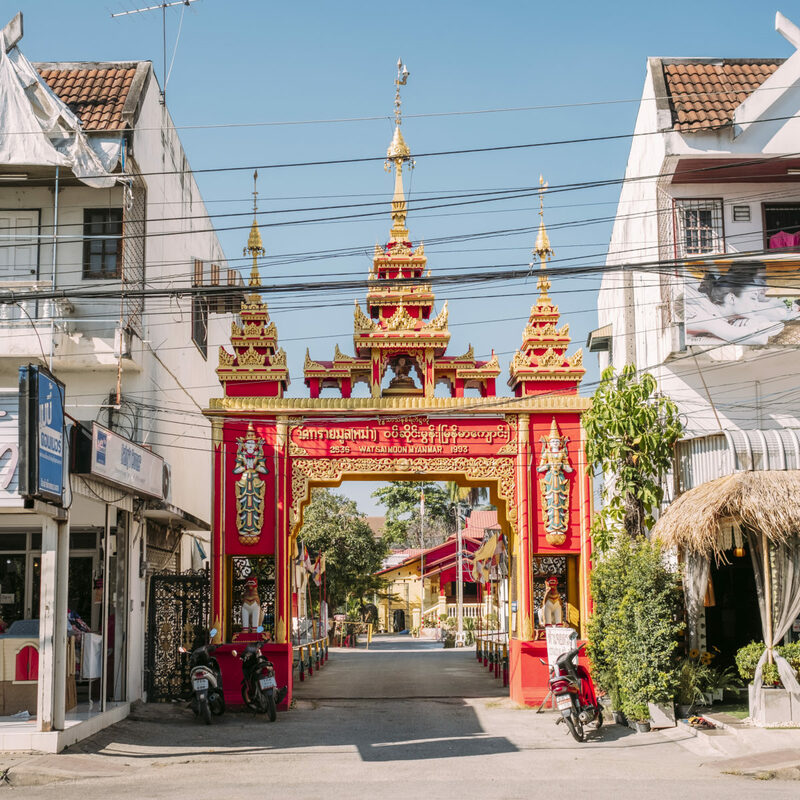 According to International Living, "Chiang Mai offers all the amenities of a large city at small town prices," meaning quality housing on a budget is easy to find. 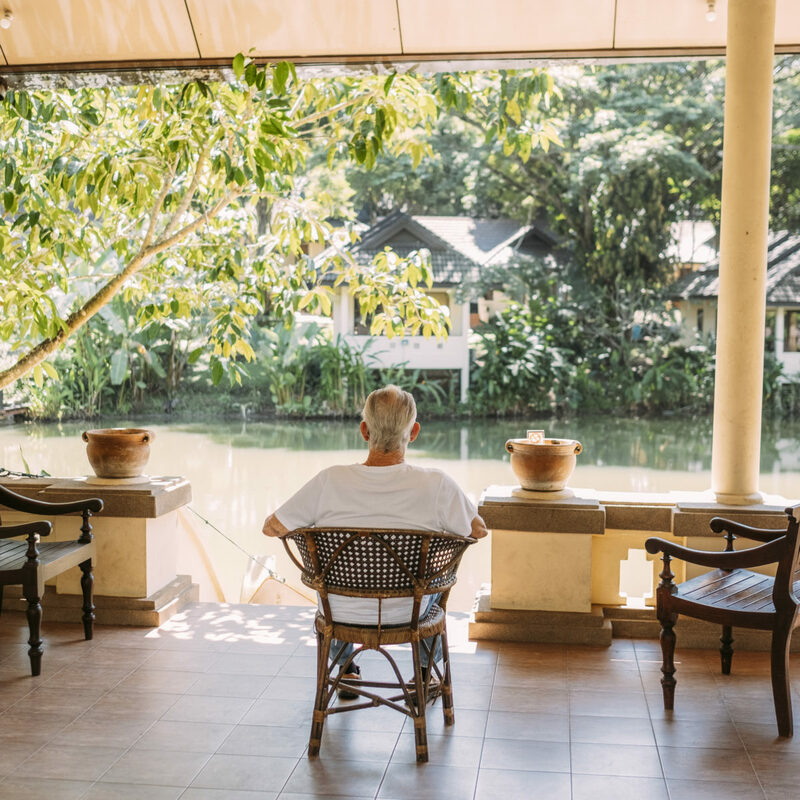 A guest at Care Resort Chiang Mai relaxes by the pond. 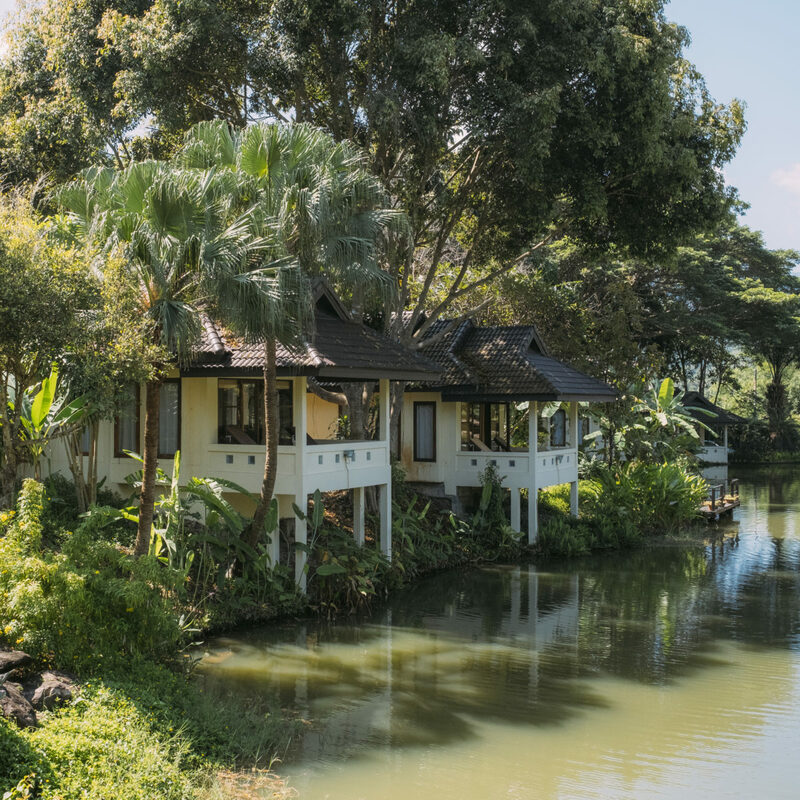 The pond at Care Resort Chiang Mai. The city's year-round tropical climate is one of its biggest draws. A massage room in the spa at The Care Resort Chiang Mai. 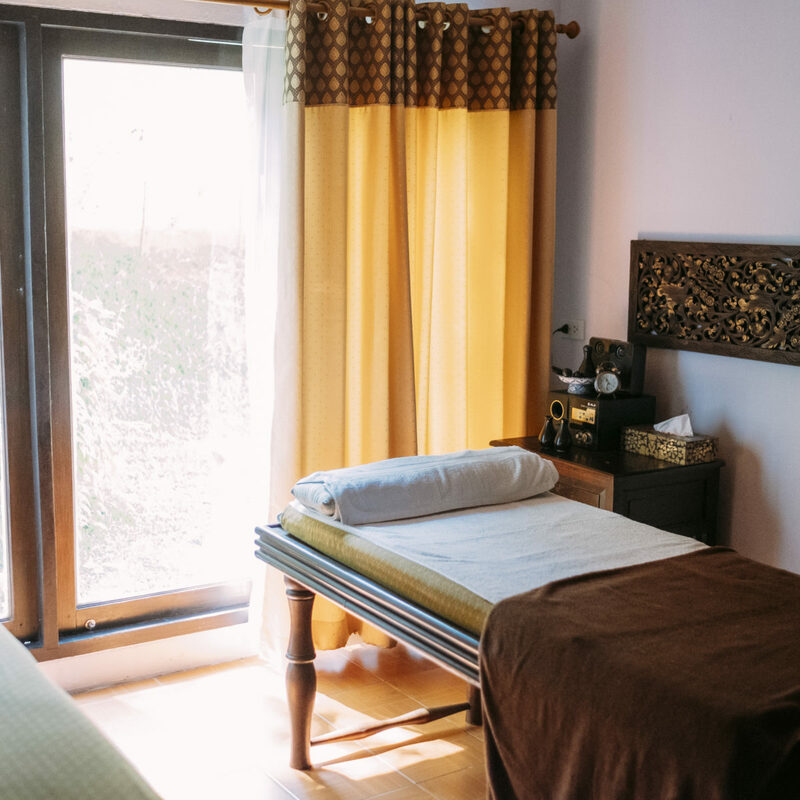 Immigrants looking for easy access to wellness amenities won't be disappointed by Thailand's broader healthcare system either, which is known for being highly affordable and accessible, according to International Living. The entranceway to Wat Sai Moon, just south of Chiang Mai’s Old City, a popular destination for travelers from all over. 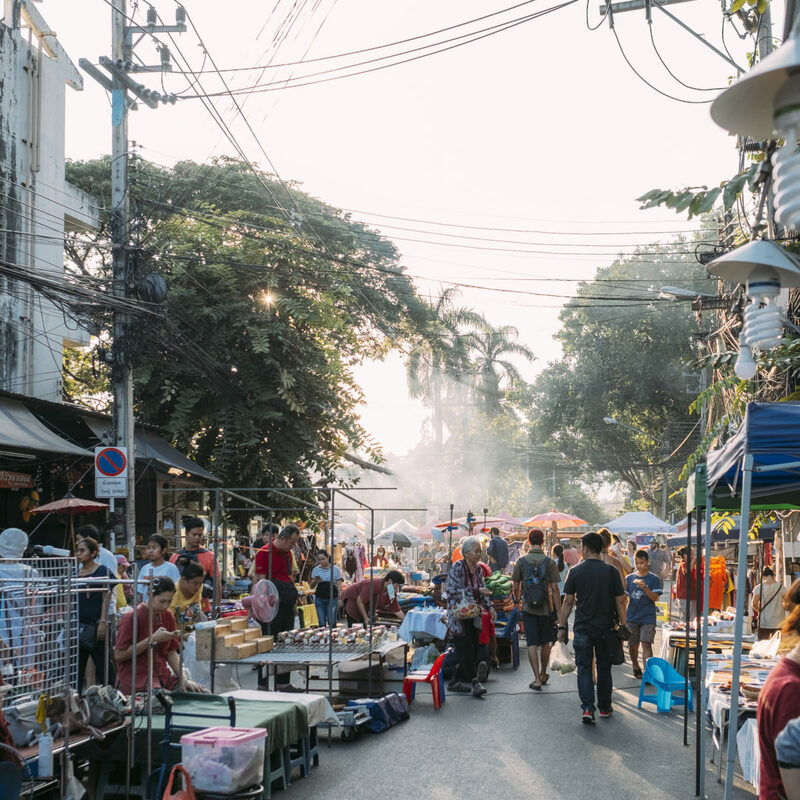 Located in the center of Chiang Mai’s Old City, the Sunday Market is massive, running from 4 p.m. until midnight every Sunday. There, shoppers can find locally grown produce at a fraction of the prices in the U.S. or Canada. Imported goods are easy to come by at any of the large supermarkets in town. 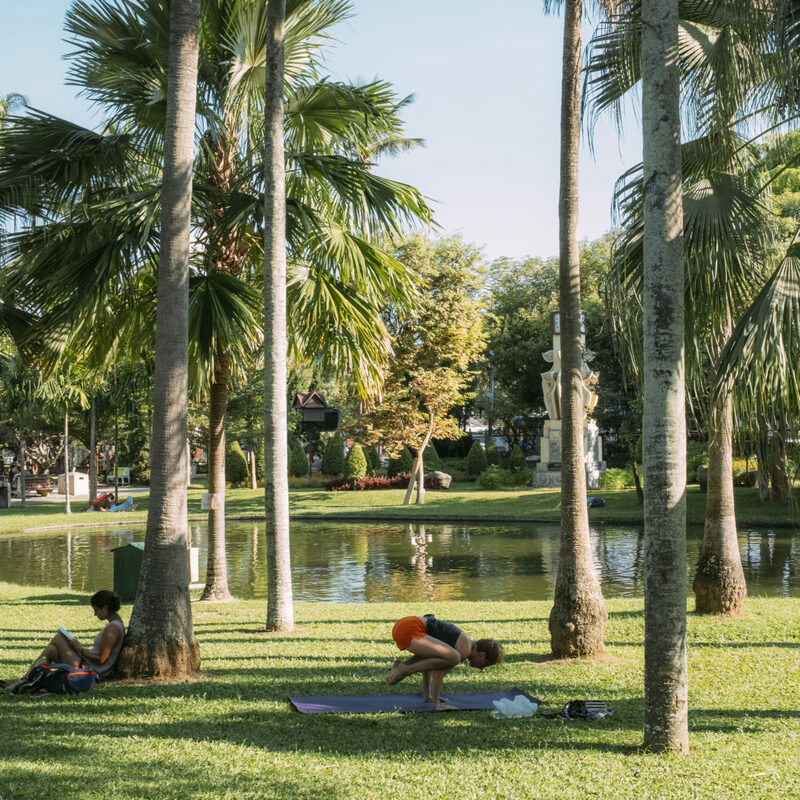 A women does yoga in Nong Buak Hard Public Park, a small but secluded green space located in the south of Chiang Maiʼs old city. 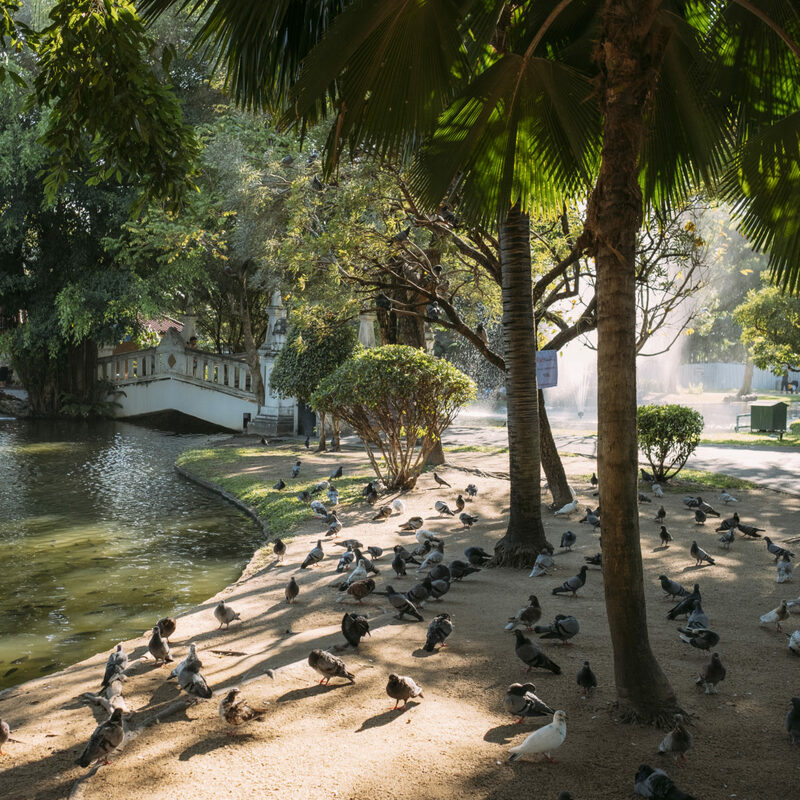 Pigeons gather at Nong Buak Hard Public Park. 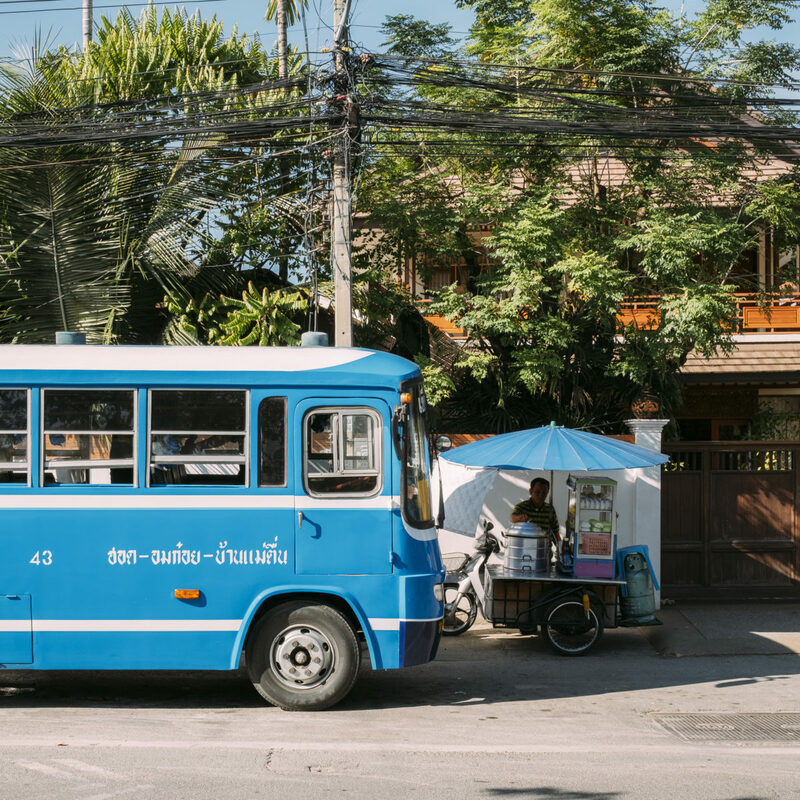 A street food vendor next to an intercity bus in Chiang Mai. A variety of affordable prepared meals can be found from vendors like these all over the city. 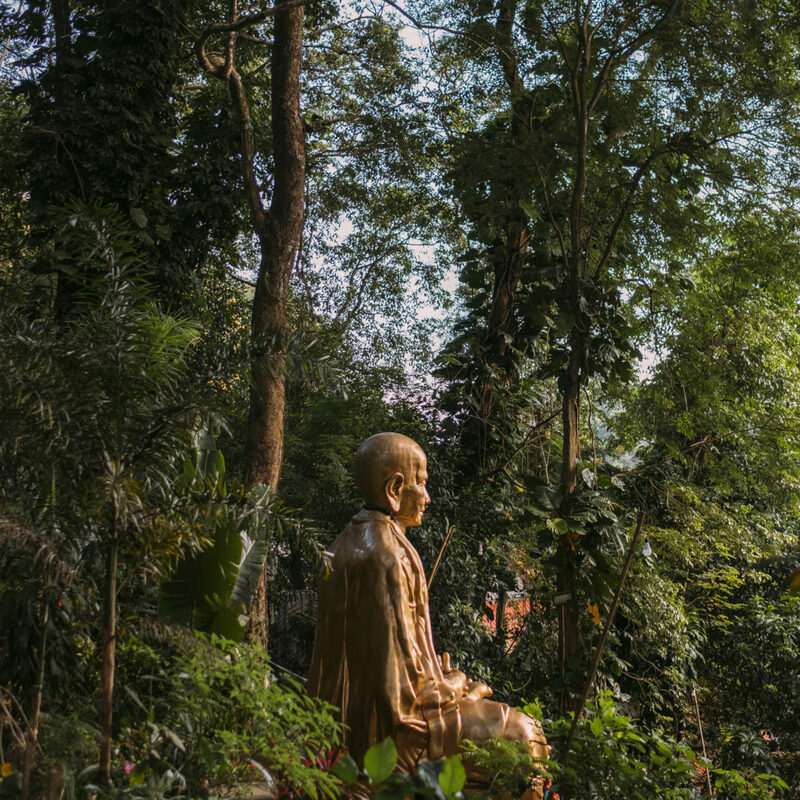 A statue of monk Kruba Srivichai that sits at the bottom of the steps that lead up to Wat Phra That Doi Suthep, a famous temple that sits on a hill looking over Chiang Mai. 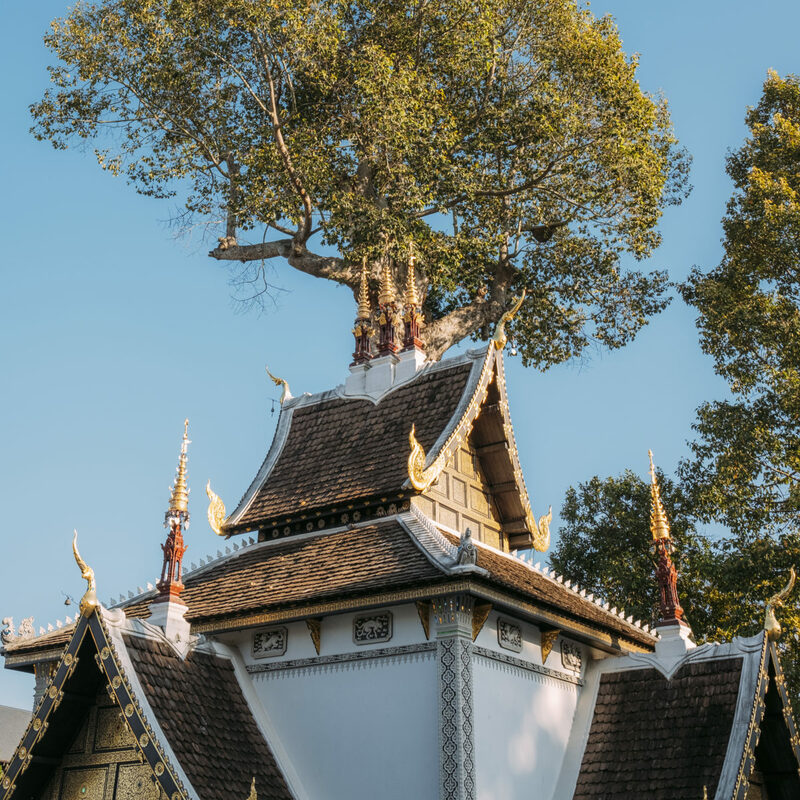 With its many temples and festivals, Chiang Mai is known as one of Thailand's top cultural hubs. Part of the grounds of Wat Phra That Doi Suthep. The view of Chiang Mai from Wat Phra That Doi Suthep.